Exciting news: Axios' Dan Primack is launching “Pro Rata” – the podcast 📷 – on Monday, July 23rd. Subscribe here to get smarter, faster in just ten minutes on the collision of tech, business and politics. 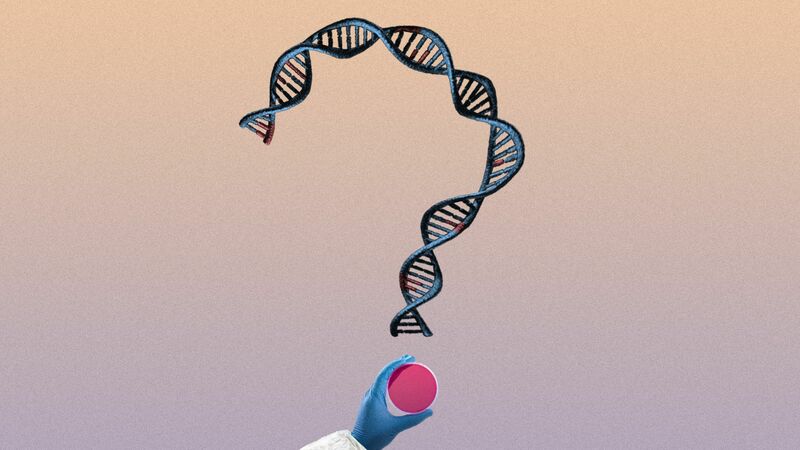 A gene editing tool with promising clinical applications is facing renewed scrutiny after several recent studies found its side effects could be worse than expected, Eileen Drage O"Reilly writes. Advances in research are published frequently. For instance, yesterday Science Translational Medicine published a study in which researchers took cancer cells that had left their original tumor in mice, edited them with CRISPR to have "suicide genes," and re-injected them into the animal to see if they would return to the tumor and end up killing the cancer. They said they found "marked survival benefits." "Is there any important genes close to the one we want to edit? How often do large deletions, rearrangements and especially translocations happen in relevant cells? And finally, how much risk is acceptable? The answer to the last question depends on how serious the treated disease is." Why it matters: The research, published Thursday in Science, is the first to find a human "fingerprint" on the seasonal cycle of temperatures, adding another global trend that is formally attributed to human emissions of greenhouse gases (GHGs). Based on computer models and basic physics, scientists had an idea of how temperatures in the troposphere — the layer of air extending from near Earth's surface to about 35,000 feet and where most weather occurs — should be varying from one season to the next as the world warms overall. The new study put these model simulations — with and without increased GHG — to the test against observations. How they did it: The researchers combined 38 years of satellite observations of the troposphere and computer model data. What they found: Human-caused emissions of GHGs have altered the seasonal cycle around the world, as measured in the troposphere, but with ramifications for conditions at the surface. Why it matters: The heat wave and wildfires are causing evacuations and threatening communities in Sweden, where the area burned already exceeds that of the average fire season by thousands of acres, per the Copernicus Emergency Management Service. Plus, the wildfire smoke is hitching a ride on mid-to-upper atmospheric winds to as far away as the U.S. Temperatures climbed into the 90s Fahrenheit above the Arctic Circle on Tuesday and Wednesday, and remained high again on Thursday. The overnight low temperature in Makkaur, Finland, on Thursday morning was a balmy 25.2°C, or 77.3°F. According to meteorologist Etienne Kapikian, this may be a new record for the Arctic. The wildfires burning across Sweden during this stretch of hot, dry weather is unprecedented in modern times, according to The Weather Channel. All-time high temperature records have fallen in Finland, Norway and Sweden this week. National parks: Air pollution in some of popular U.S. national parks is on par with that in the nation's 20 largest cities, a study shows. This is having a dampening effect on visitor numbers, Henrietta Reily writes. AI leader: Kaveh Waddell writes that a Tsinghua University study shows two-thirds of global AI investment today goes to China and threatening to rob the U.S. of its tenuous AI lead. Ending AIDS: We already have the tools we need to effectively end the AIDS epidemic, Eileen reports. The story details comments by Anthony Fauci, a top public health official, before the AIDS2018 conference next week. Sea level rise: Global warming could threaten key elements of the physical internet, particularly in the next 15 years, according to a new study. Hot June: Last month was either the third or fourth-warmest June on record for the globe, according to NASA and NOAA, respectively. The findings indicate it's likely that 2018 will be a top 5 warmest year. Wildfires: It's not the number of wildfires that is the problem in the U.S., but rather the increasing size of them that we should be concerned about, according to Maggie Koerth-Baker of FiveThirtyEight. Health costs: Atul Guwande, a writer and physician, is now the CEO of a company tasked with figuring lowering health care costs. His first move is to go on the road to hear his workers' health care woes, Casey Ross of STAT reports. Jupiter's moons: Astronomers accidentally found 12 tiny, new moons circling around Jupiter, per National Geographic's Nadia Drake. Blue Origin: Jeff Bezos' spaceflight company Blue Origin completed a key test of its crew capsule this week, bringing it closer to launching humans into space, Mark Kaufman writes for Mashable. Neptune doesn't have the same mystery as Jupiter, with its swirling storms and auroras. Nor does it have the mystique of upcoming human exploration, like Mars. But wow, it's a neat planet. We have a new, clear view of Neptune, thanks to the European Southern Observatory's Very Large Telescope. The ESO has upgraded the optics on the VLT, enabling it to capture sharp images of planets, star clusters and other objects. The goal is to correct for turbulence at different altitudes in the Earth's atmosphere, which enables the VLT to take visible wavelength pictures as sharp the Hubble Space Telescope. Scientists hope to use this telescope to study supermassive black holes, jets from young stars, supernovae, planets and their satellites. "The same turbulence in the atmosphere that causes stars to twinkle to the naked eye results in blurred images of the Universe for large telescopes. Light from stars and galaxies becomes distorted as it passes through our atmosphere, and astronomers must use clever technology to improve image quality artificially," an ESO press release states.